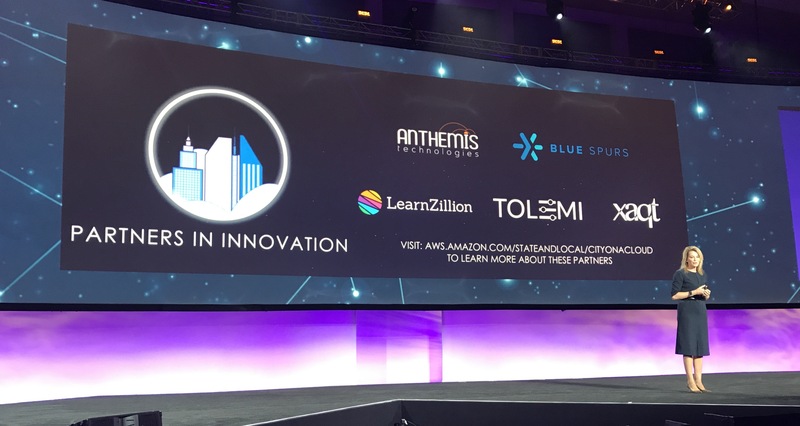 Today, AWS announced the winners of the 2017 AWS City on a Cloud Innovation Challenge at the AWS Public Sector Summit in Washington, DC. We recognized 19 winners across the three award categories of the competition – Best Practices, Dream Big, and Partners in Innovation. The competition was designed to recognize how local and regional governments are innovating on behalf of citizens across the globe. City of Virginia Beach: StormSense enhances the capability of Virginia Beach and neighboring communities to predict coastal flooding resulting from storm surge, rain, and tides in ways that are replicable, scalable, measurable, and make a difference worldwide. 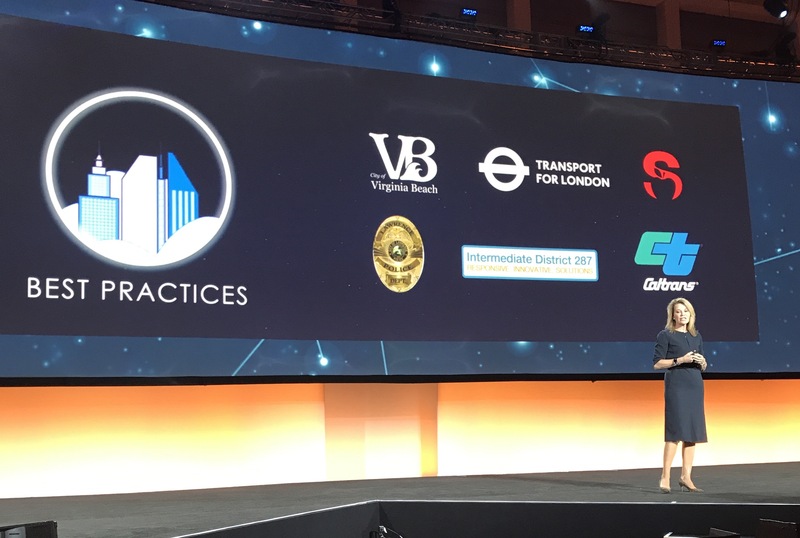 Transport for London: Built on the AWS Cloud, LondonWorks 2 provides a modern cloud-based solution that provides a complete picture of all roadwork to allow London’s service providers to plan on a city-wide basis and alleviates the potential for significant disruption and delay. Solodev and Seminole County Public Schools: By utilizing the power of the Solodev platform built on AWS, Seminole County Public Schools were able to set a new standard for modern K-12 websites while saving money and streamlining operations. Lawrence Police Department: The Lawrence Police Department partnered with BodyWorn by Utility to provide Body Worn Camera technology using AWS for big data storage and analytics. Video and audio recording collected by police officers is instantly, effortlessly uploaded in a safe, encrypted storage environment. Intermediate School District 287: With a mission to provide high-quality learning opportunities to Minnesota public school students, Intermediate School District 287 turned to the AWS Cloud for affordable storage and management of digital resources. Caltrans: The Caltrans project has one main goal: to reinvent traffic incident response for California. The project relies on an all-in move to the AWS Cloud to support data storage, analytics, and scaling for testing. Louisville Metro Government: By utilizing machine learning, real-time traffic data, and IoT, Louisville is building an adaptive traffic flow management system that can sense detrimental systemic changes to traffic and automatically adjust city infrastructure to mitigate the impact. Tulsa Public Schools: Tulsa Public Schools aims to build a recommendation engine to support school teams with data-informed decision making. Tulsa Public Schools seeks to be a proof-point in public education by leveraging data as strategic asset to improve academic outcomes for kids. City of Iowa City: Johnson County, Iowa is expanding their post-booking jail diversion program using inter-departmental data to predict and identify populations that would benefit from a pre-jail diversion program, better understand infrastructure costs, where to increase efficiencies, and show improved outcomes. Marmion Academy: Marmion CPARC Engineering Center is a prototype for business and education STEM collaboration. They require high performance computing, remote learning, and virtual desktop solution assets to advance this to other schools. City of Ottawa: Ottawa would like to create a repeatable process in other Canadian cities and abroad using IoT sensors for water distribution, traffic applications, and disaster recovery, and further leverage the existing infrastructure of ottawa.ca to handle surges in web traffic. WSIPC: WSIPC plans to build a user interface so trainers will be able to select a database backup to be used for professional development and troubleshooting. Training has been rolled out to five states and over 20,000 users, and has expanded internationally. Seattle Public Schools: Seattle Public Schools intends to design a system to close the opportunity gap for historically underserved students. The AWS Cloud will enable advanced data services, such as predictive analytics, to focus on the improvement of student outcomes. City of Las Vegas: Las Vegas would like to use AWS and Amazon Alexa to help local students at risk of falling behind in school due to challenges with attendance and keep them up to speed on knowledge and literacy. Anthemis Technologies (France): Anthemis Technologies has developed a beacon called “Help-me,” allowing firefighters to save time during interventions. The application provides information about location and people injured, details about the dwelling access code, as well as medical history data that could help save lives. Blue Spurs (Canada): In partnership with the Government of New Brunswick, Blue Spurs created the Blue Kit, a creative, low-cost IoT educational starter kit that allows middle and high school students to understand the fundamentals of IoT in an interactive, fun environment. LearnZillion (US): LearnZillion is changing the paradigm of K12 curriculum from a static product to an adaptable, cloud-based service. They promote productive struggle in traditional and blended classrooms, allow for localization of the curriculum to better meet the needs of teachers and students, and empower teachers to better orchestrate meaningful learning experiences. Tolemi (US): Tolemi is building a platform that integrates seamlessly with all government systems and databases to collect, aggregate, and cleanse data, creating a data standard for the BuildingBlocks software to derive insights. Xaqt (US): Xaqt’s urban analytics platform bridges people and data with policy and best practices to help policymakers and citizens better understand how cities function. The platform handles: data integration, deep analytics, and making insights accessible to drive collaboration and data sharing across the city. For more information on the winner’s projects, click here. Thank you to all of this year’s participants!